Are you finding the best backpack for your outdoor activities? Have you searched for a backpack to use for your military assignments and found none? If you have been looking for a backpack to use for your daily activities, then you have come to the right place. There are many backpacks in the market promising so many goodies to consumers, but not all of them can serve their purpose effectively. Whether you are buying a backpack for your mountain climbing or your laptop, heavy duty backpack should be your perfect choice. This article will provide information about direct action dragon egg tactical backpack review that will help you make good tactical backpack buying decisions. The bag has redesigned pockets on both sides. This enables the user to store their personal effects where they can easily be removed when needed. It can also be useful for storing refreshments, especially when going for outdoor activities. The pockets which are in front are ideal for storing stationeries and other important small things. To ensure uniformity of quality, the bag has a logo indicating “ Direct action” to prevent counterfeits. The light weight makes the bag easier to carry when going for a trip. This makes the backpack ideal for military and other law enforcing activities. Military officers can effectively use the bag when on a two-day patrol mission. Unlike other backpacks which have no space for ventilation, these backpacks have a unique ventilation system. The ventilation system gives the users increased comfort and style. Contoured profiles in the backpack help in keeping the bag off the back of the user. They help in reducing heat accumulation which would eventually lead the user to sweat. The backpack has a unique egg shape than any other in the backpacks market. This makes the bag to have small volume than others of the equal capacity. The bag is modular and does not absorb water like the other types. The backpack is made up of high-quality Cordura fabric. The fabric is known to last for long without wearing or tearing. The fabric can be used for heavy duty activities because of its firmness. It has a large internal capacity though it looks small from the outside. The bag comes from in 12 different colors giving customers the ability to choose their preferred color. It is highly durable as it is made from high-quality Cordura fabric which is known to last for long. This bag has a good paracord handle which makes it easier to carry it as a suitcase. Padded sleeve for carrying the laptop or iPad. It has side pockets where you can easily keep your stationeries or other personal effects. It has a good suspension system which makes it comfortable on its shoulder straps. Excellent laser-cut style which is resistant to water. 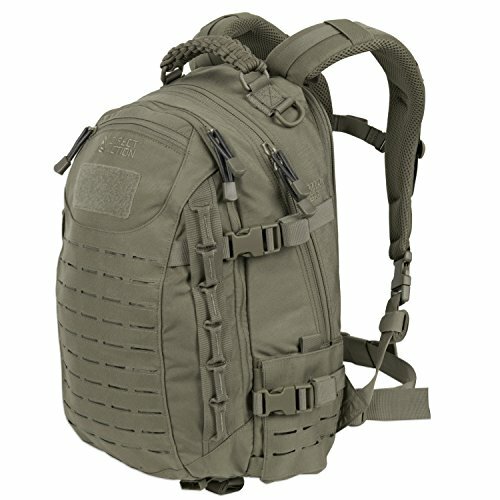 Q: Why can the Direct Action Dragon Egg Tactical Backpack be used? A: The backpack can be used for military assignments because of its heavy duty fabric which can withstand wear and tear. It is suitable for outdoor activities like sports, mountain climbing or simply for carrying your gym wear. Q: Which country is the bag made from? A: The bag was initially made in Vietnam. Q: What is the capacity of the backpack regarding volume? A: The bag can easily carry 25 liters. Q: Does the bag have removable waist straps? A: Yes the bag has a detachable waist strap that you can easily remove when required. Hope you will bear with me for the error and look forward to your approval and rating soon. Thanks once again for giving me another chance for working on your project it was a great pleasure.Wishing you many blessings Boniface. 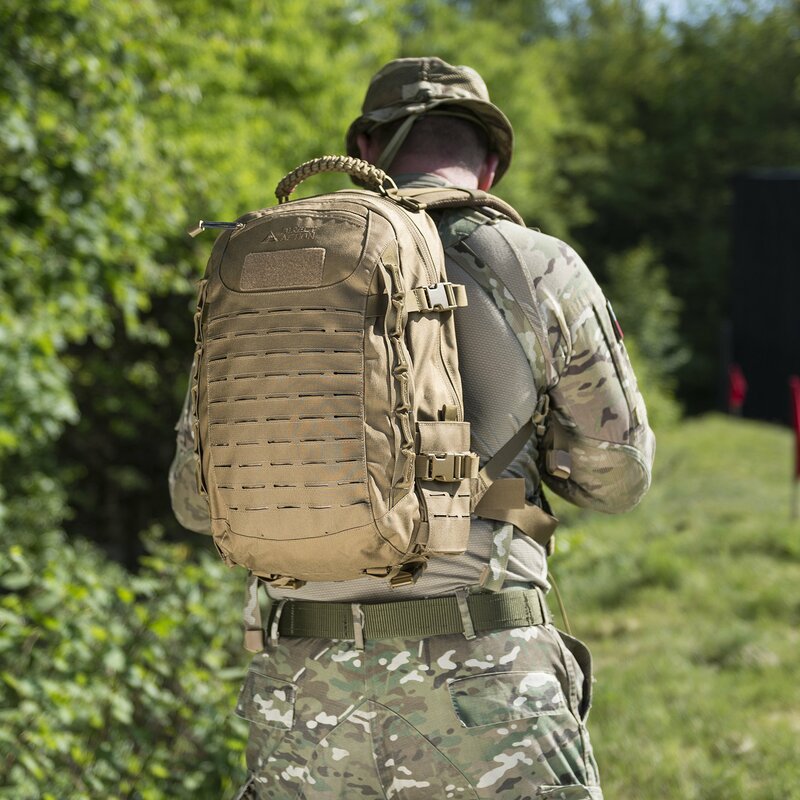 It is now evident that customers have highly recommended the dragon egg tactical backpack as their trusted military and outdoor activities companion of choice. This Direct Action Dragon Egg Tactical Backpack Review will be helpful to many customers who are looking for high-quality backpacks for their daily use. The backpack is one of the items that you should not miss in your survival gear. The backpack gives the good value for your money. It can be used for everyday duties no matter how complex they are. Why don’t you visit Amazon today and get your favorite color of direct action dragon egg tactical backpack? Grab your Direct action Dragon egg backpack today.Hurry while stocks last! Check Price & Buy From Amazon.com, Now! Brightex FL11 Super Bright Small Tactical Flashlight Review Do most flashlights leave you in the dark?